Geography students from The Sixth Form College, Solihull travelled to southern France last week to complete fieldwork as part of their A level course. 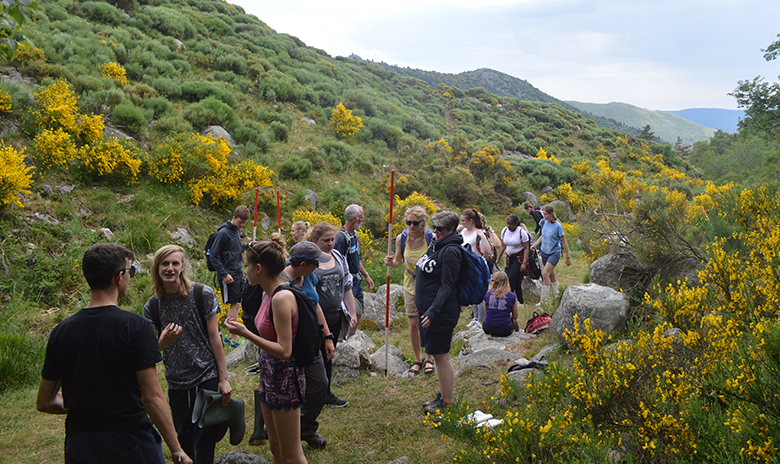 A group of 21 first year A level Geography students visited the Cévennes National Park to conduct the fieldwork studies, which will be put to use when they return for their Year 13 studies in September. During the trip the students tested different microclimates, ecosystems and also looked at the impact of human activity on vegetation and ecosystems, as well as the effect of pollution on the River Lot. They also conducted fieldwork in the River Souteyran. Student Phoebe Webster was the official photographer for the trip and Molly Waterhouse, who is also studying A level French and, as such, was able to act as translator on the trip; they documented the trip. See more photos on the College Facebook page.